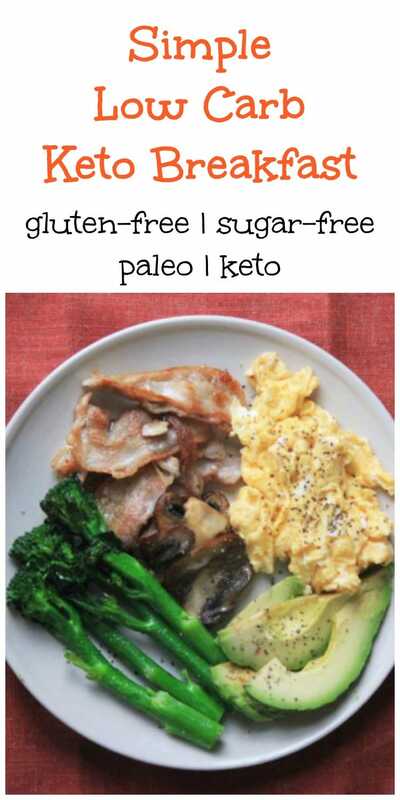 You might be wandering what are some good breakfast ideas when you eat low-carb, so I was thinking of sharing with you the different breakfasts that I make! On the weekends I like to sit down and take time to eat breakfast, but during the weekdays I usually like to grab something and go because I never wake up on time… This is the breakfast I made this morning! It was really filling! 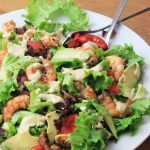 When you eat a lot of fat and protein, you will notice that you stay full much longer! Which is really good because as soon as I feel hungry, I’ll start binge eating. 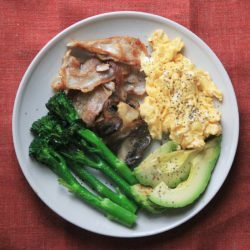 This breakfast comes with organic pork belly bacon slices, broccoli sticks, an avocado, brown mushrooms and scrambled eggs. You may think this breakfast has a lot of carbs or calories, but nope! 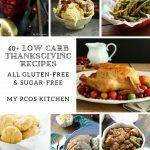 It only has 434 calories and 5.30 net carbs! This easy breakfast can be eaten any day and the ingredients are interchangeable! You could eat some asparagus or breakfast sausage for example. A couple slices of cheese and some fresh berries too would work nicely! Never been easier to make breakfast! Add some water to a pot and heat. Add the broccoli sticks to the boiling water and cook for 2-3 minutes. Add the bacon slices to a frying pan and cook on both sides until nice and crispy. Don't discard of the oil. Slice the shiitake mushroom and avocado. Take the broccoli out of the water and add them to the bacon grease along with the mushroom slices. Fry in the bacon grease until nice and tender. In a small bowl, whisk the eggs and cream together. *For this step you can either fry the eggs inside the grease or fry them in some ghee. Scramble the eggs until desired thickness. 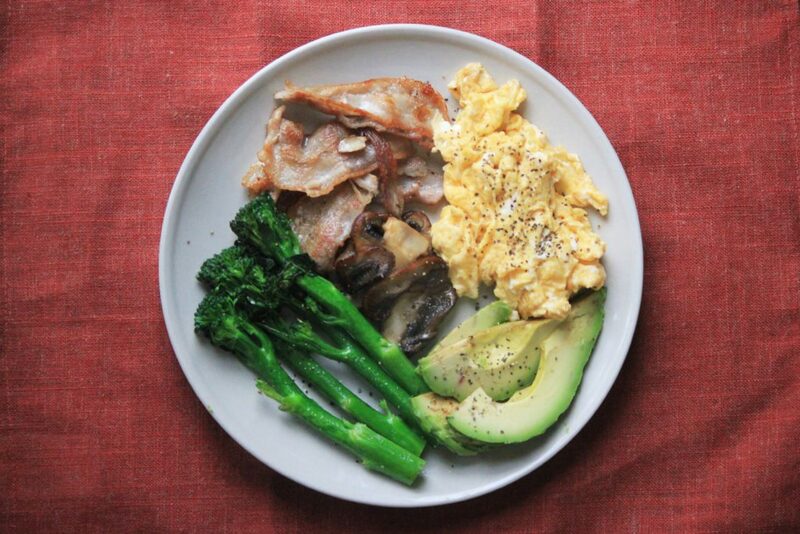 Add your fried eggs, avocado, broccoli, bacon and mushrooms to a plate. Sprinkle the salt & pepper over. Thank you for this! 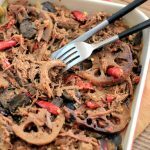 I’m struggling and don’t know what to make for any meals as I just started so this is a great example.